Vinyl zip coin purse with Scotland Saltire Flag design on both sides. 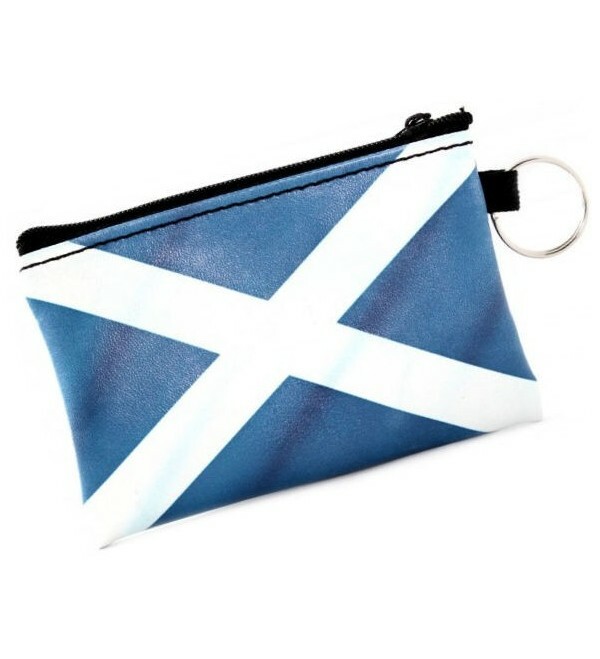 Vinyl zip coin purse with Scotland Saltire Flag design on both sides. Also has split ring for attaching keys, etc.